Home > 24 Rainbow Roses - Colorful! 24 Rainbow Roses - Colorful! 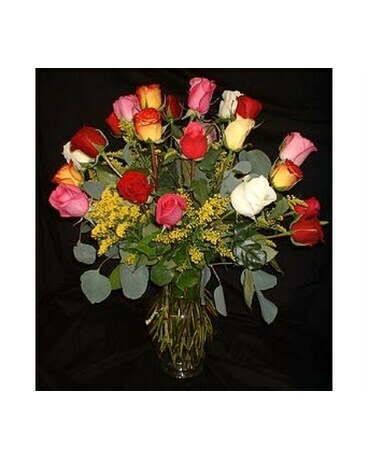 This large bouquet has 24 vibrant colored roses. These are long-stemmed, premium quality roses. When this array of colors open, it is quite a sight to see. This is one of our best sellers!